Duration : 1 hour 57 mins. 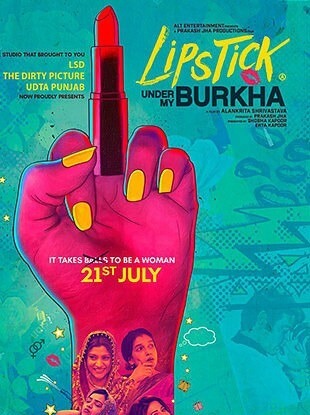 Event Description : MOVIE "Lipstick Under My Burkha" Hindi Comedy Film. Cast : Konkona Sen Sharma, Ratna Pathak, Aahana Kumra etc.